4This critically acclaimed training program from Adobe Press and video2brain combines exceptional quality high-definition video and a printed reference to teach the fundamentals of Photoshop CS6 as well as the basic principles of graphic design. 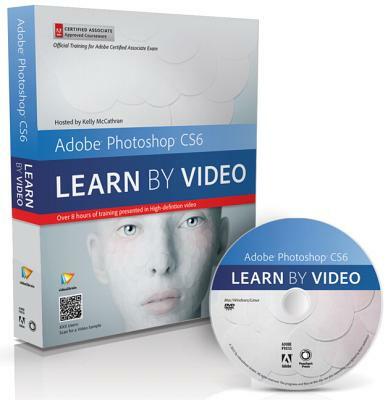 Structured around the objectives of the Adobe Certified Associate exam "Visual Communication Using Adobe Photoshop CS6," the product includes 15 hours of video tutorials, complete with lesson files, assessment quizzes, and review materials. The video's unique interface allows the viewer to jump to any topic and bookmark individual sections. The unique Watch-and-Work mode shrinks the video into a small window to allow the student to follow along with the instructor in Photoshop. Project files are included on the DVD-ROM, which is bundled with a printed booklet that provides supplemental material to enhance the video training.